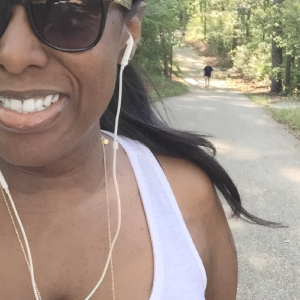 Atlanta lifestyle blogger helping driven women live well and work from anywhere! In this blog post I’m going to share how exercising on a rebounder helps with weight loss. 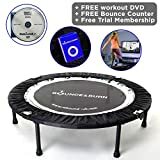 Did you know making gentle bounces on a mini trampoline where your feet may not completely leave the rebounder can bring health and weight loss benefit? Sounds crazy right? You may even be laughing, but here’s the fact one cannot make fun of. According to NASA’s research, rebounding offers an increased gravitational load or G-force that benefits our body by strengthening our musculoskeletal system. Aside from improving the muscle-to-fat ratio, it gradually improves the resting metabolic rate of the person which results to more calories being burned for hours after a rebounding exercise. Rebounding is also considered by many health practitioners as the most effective movement therapy to increase lymph flow and release toxins from the body. You may be wondering how does rebounding work? There are several types of exercise that target certain muscles of the body or increase the cardiovascular function. Rebounding is a low impact exercise that utilizes the forces of acceleration and deceleration that work on each cell in the human body. 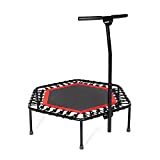 Several actions take place when bouncing on a rebounder or mini trampoline. Click here for the one that I use almost everyday. The up and down motion as you bounce on a rebounder lets your cells respond to the gravity based exercise which is highly beneficial for your lymphatic system. Our lymph system is responsible for transporting immune cells and supports our immune function. As you practice the art of rebounding you are already helping your body and overall health by detoxifying and boosting your immune system function. 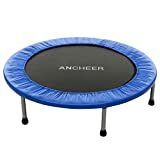 Rebounding is not only convenient and enjoyable but it can also be an activity that can help you lose weight. The amount of weight and how quickly you lose from a rebounding exercise is influenced by several factors such as the intensity and quantity of your rebounding. The longer period of time and the more frequent of each rebounding workout, the more you can lose weight. More so, rebounding with more intensity will give you a good chance to lose weight more quickly. 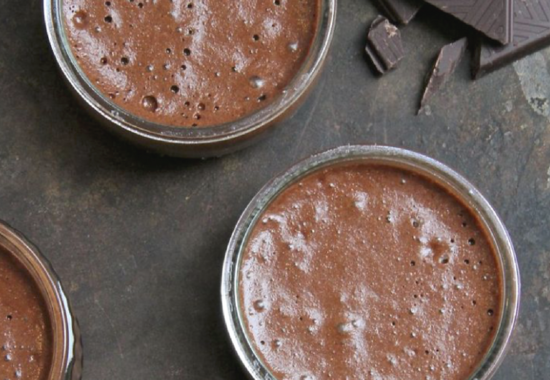 YOU MAY ALSO LIKE >> recipes that boost your metabolism from the METABOLIC cook book. 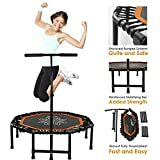 Rebounding looks fun, convenient and easy however there’s certainly much more to bouncing on a rebounder than meets the eye. Let’s get started with your rebounding workout. It begins with a warm up by performing a basic bounce. This will help you tine your glutes, calf muscles and quads so you’ll be prepared to perform a whole-body exercise. Stand on the rebounder with your feet apart. Relax the arms but with a slight bend of the elbow then bounce up and down lightly. Make sure to keep your knees slightly bend and your feet must also come just few inches off the mini trampoline. 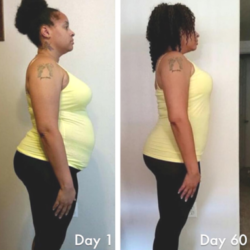 You can repeat this exercise up to thirty times. People can do main sets of rebounding such as jumping jacks, planks, push up advance move and trampoline squats. People can challenge themselves using a variety of movements and jumping as high as they can to yield greater results while still being unreservedly safe. 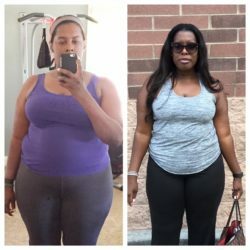 I hope this helps you on your health journey. As many of you know, I love hearing from our community. Do you workout with a rebounder? If so, how is it going for you? Let us know how it turned out in the comment section below. If you enjoyed this post on how exercising on a rebounder helps with weight loss, feel free to save it on Pinterest and Facebook using the buttons below. Your family and friends may like it too. P.S. 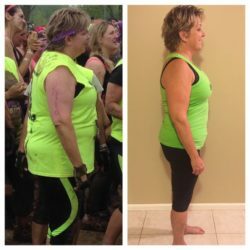 If you like shakes and are looking for a good affordable one to replace one-two of your 5 to 6 small meals a day. Let’s connect, I’d be happy to share what I’m using. We are LOVING our results. Did you enjoy reading this content? There's more where that came from! Get it delivered straight to your inbox... it's free! 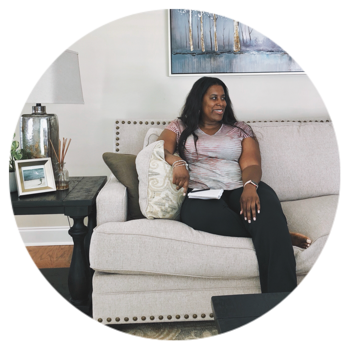 Laid back chic with a slight obsession for well dressed windows, one pot meals, and helping women live well & work from anywhere! Grow your business using Instagram with my 3 Step Guide! Ready to attract some of the best people into your life and business? I'll show you how. Download my free guide! Get my newsletter delivered straight to your inbox! 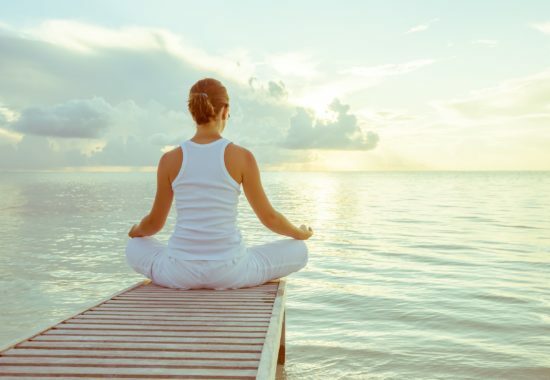 Start living well with less stuff. Download my free guide. It's easier than you think! !